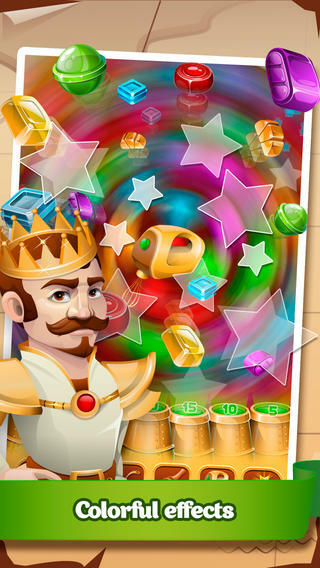 Sweet Kingdom is an iPhone game developed by Eva Studio LLC. 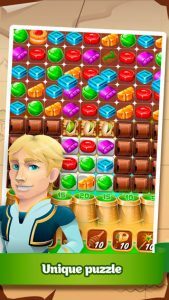 If you like matching games, this is a game worth checking out. At this point, a lot of casual iOS gamers feel like if they’ve played one match-3 game, they’ve played them all. And given how many sugar- and candy-themed matching games are out there, it’s not hard to understand why some people have that perception. That’s why it was so refreshing to sit down and play Sweet Kingdom, and find that this match-3 title is still great fun. If you still can’t get enough match-3 games, you should add this game to your wish list. 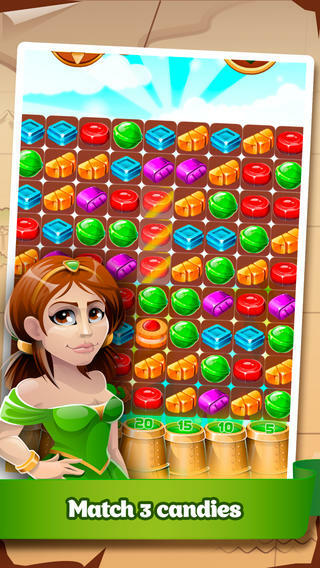 If you’ve played Candy Crush Saga, the mechanics of Sweet Kingdom will be very familiar to you. Your job is to match 3 or more like-colored candies. If you match more than that, you can create “special” candies, which have more destructive power and help you to clear the board. Overall, I liked the look of this game. However, I do think some minor improvements could be made to smooth the animation when large numbers of candy blocks are cleared at once. On occasion, the game’s graphics did seem to stutter a bit. 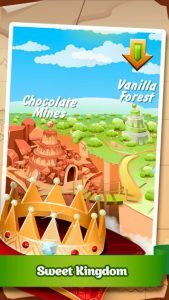 With hundred of levels and six bonus power-ups to play around with, Sweet Kingdom has a lot to recommend itself. If you love match-3 games (particularly games that embody the sweet spirit of Candy Crush Saga), then Sweet Kingdom is a game you should try out right away! 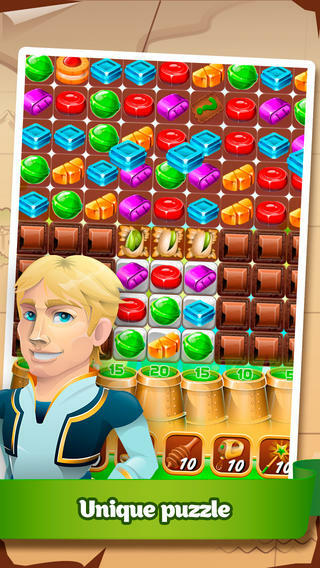 Sweet Kingdomrequires iOS 4.3 or later. Compatible with iPhone, iPad, and iPod touch. This app is optimized for iPhone 5.